Liverpool, bursting at the seams with links to its flourishing rise through trade, travel and entertainment. From its quaintly cobbled Georgian quarter, through the naval-soaked ropewalks and onto the bustling dockside business district. The Gin Journey explores each era and how gin was firmly at the helm. Visiting bars hidden away from the hustle and bustle, you will be enlightened with stories about the boozy botanical trade. Your Gin Guardian will spin stories of sailor’s desires to romp around the city streets, navy strength booze in hand. Learn of Liverpool’s ability to provide palate pleasing juniper juice for the world. The Gin Journey Liverpool is an exploration into Liverpool’s boozy history with a gin cocktail and a gin at every stop aka the best history class you’ve ever been to. 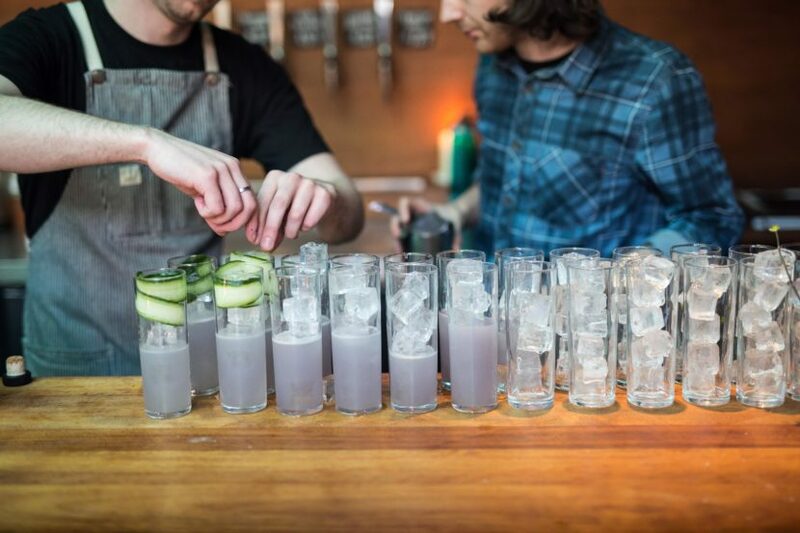 The Gin Journey Liverpool is a Saturday event which begins at 14:00 and finishes at 18:30. Roll on the ginny good times. Food is available on every tour but not provided. You are informed of your meeting point a week before the event. The tour includes 5 samples of gin, 5 cocktails, in 5 amazing venues a chauffeured drive from bar to bar and a ridiculous amount of fun.